Our buyer clients usually have nothing to look at this time of year but the snow. 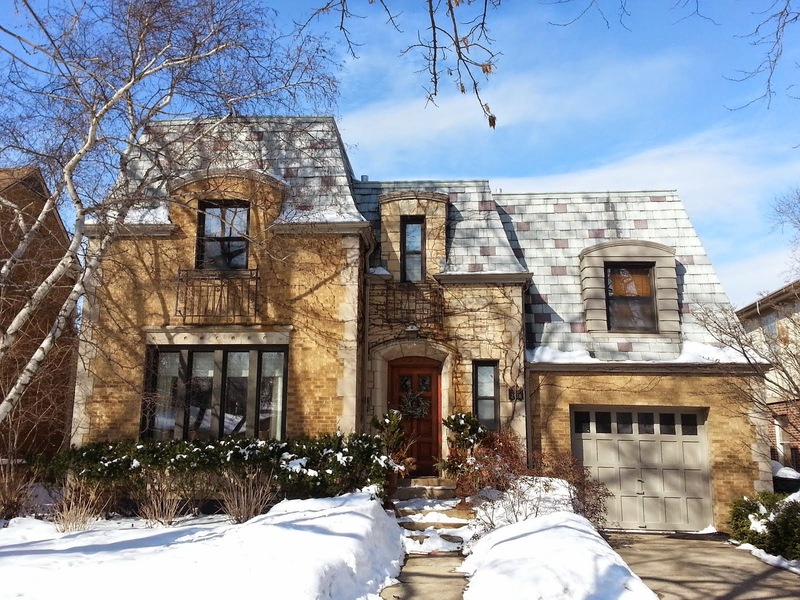 Only one true, new single family home listing hit our MLS (MREDLLC.com) on this last week of December in four (4) of our target North Side Community Areas of: Lincoln Park, Lincoln Square, Lake View and North Center. 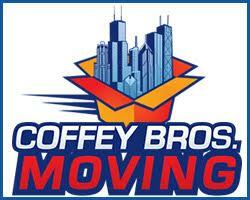 YoChicago just posted some advice on listing a home around this time. We feel if you'd like to sell your home you should list the home as soon as you can get it show ready and at the best market price possible. It's true sellers may have many distractions over the holidays, which, also makes it hard to keep the home "show ready". But the lack of homes being listed has more to do with the prevailing perception that there are NO BUYERS at this time of year. That is not the case. People need, or, would like to buy homes all year round for any number of reasons and will purchase if the price is right for them. It's a self-fulfilling prophecy. Sellers see more home sales close in the spring and summer months. People buy and close in the spring and summer months because sellers wait and offer more homes at that time. If the market priced homes were listed for sale spread out evenly during the calendar year, I suspect home closings would be more spread out too. There is also an irrational notion you'll have a better chance of selling your home simply by listing in February rather than in January. 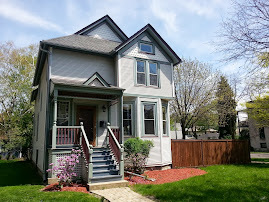 My wife and I viewed this Victorian home in January a couple years ago...one of few available listings. Price and economic market conditions will determine the sale of your single family home- not the month you list in. Serious single family home buyers are out there right now and they will jump on a well priced house... right now. Chappell and McPherson Elementary schools along with Amundsen High School in the Ravenswood neighborhood service our local block club area (Damen to Western, Lawrence to Foster). We received the above update from Alderman Ameya Pawar's 47th Ward office last week about significant $2 million in TIF funds being committed to our local public schools. The announcement includes major CPS funding for needed Bell and Coonley expansions in addition to funds for several other 47th Ward schools. 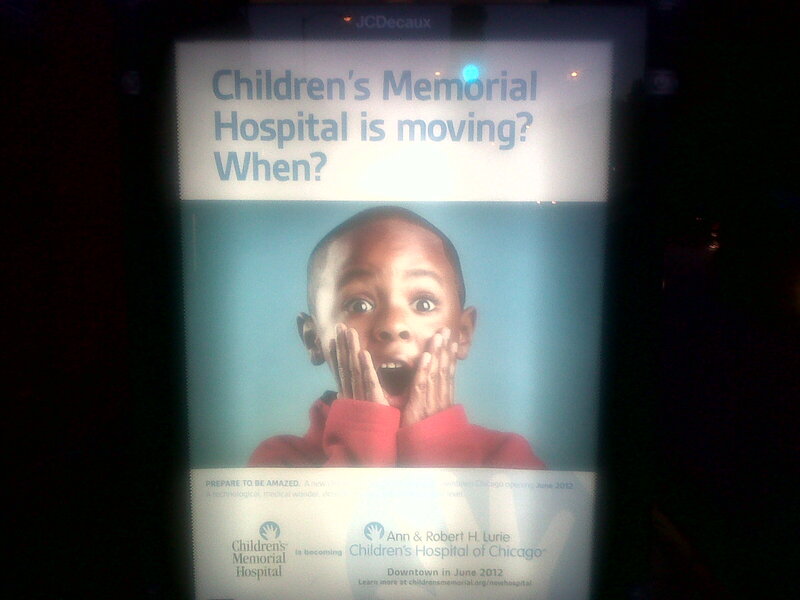 My family is in the Chappell school boundaries district, thus the focus here. You can read some early coverage of Grow 47 school initiative at Center Square Journal. Chappell has increased measurable and "intangible" academic performance over the past 5 years under the current school principal. The school has been recognized by the State of Illinois for performance goals and has increased neighborhood enrollment and added major infrastructure. Local parents are forming a "friends of" group, volunteering and organizing for the school in conjunction with many administrative improvements. The parents, teachers and new funds will help make Chappell the new "Bell", "Coonley" , "Blaine" and "Nettlehorst" school of choice. The playground at Chappell...the school is located on the attractive Winnemac Park "campus". For a parents perspective on Chappell or to join the Winnemac Park Neighbors update email list, please email ericrojas2@gmail.com. Please contact Chappell School for a tour or open house. 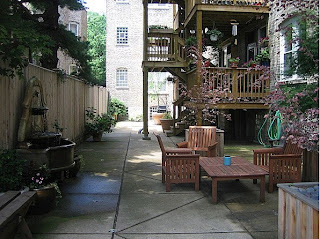 We often have our Lincoln Park buyers ask us to look for homes "east of Halsted Street" or in "East Lincoln Park". 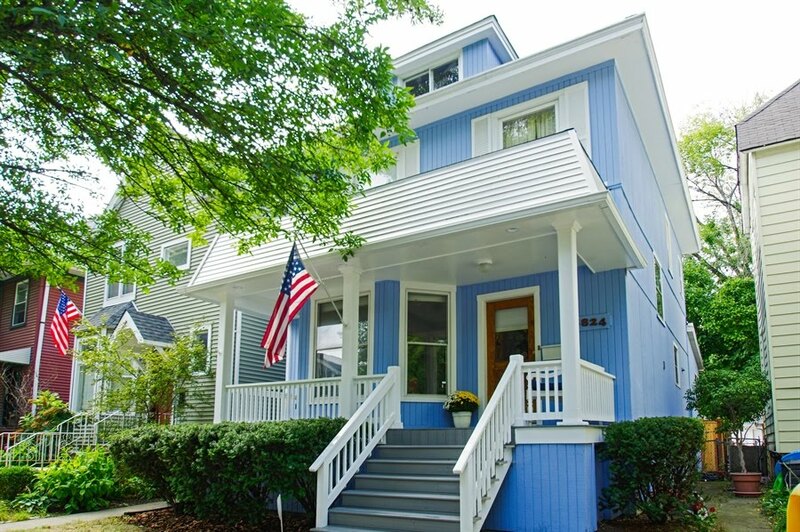 East Lincoln Park features both vintage and modern homes, unique architecture dating from the late 1800s and gets you closer to the lake. 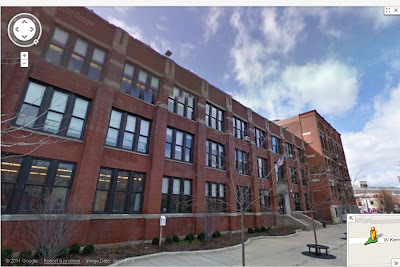 It is also located in the Abraham Lincoln Elementary School District- a coveted Chicago Public School. 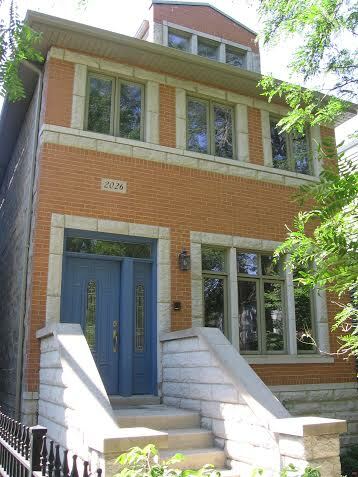 139 detached homes and row houses sold in Lincoln Park this year as of December 27th. The median price is about $1,250,500. About 50 homes sold east of North Halsted Street with a median price of about $1,600,000. About 89 homes sold west of North Halsted Street with a median price about $1,150,000. So, the median price of homes in eastern Lincoln Park (east of North Halsted Street) is about $450,000 higher than west of North Halsted. If you go west of Halsted you can get, on average, a newer or more updated home for a little less money. However the atmosphere and architecture becomes more unique the closer you get to the lake... and people are willing to pay a premium. Additionally, the top rated public and private schools (Latin, Francis Parker etc..) in Lincoln park are for the most part located east of Halsted. St. James Place in eastern Lincoln Park near the lake. Row homes are more typical. Merry Christmas and Happy Holidays from the Rojas Family to you and yours! Eric, Jillian, Ryne, Amalia and baby coming soon! Zoo Lights at the Lincoln Park Zoo has become a holiday tradition around our house. This year- with the kids a little older- it will be the perfect New Year's Eve with the family. Bob was out and about downtown this evening and snapped this shot looking down the Chicago River. 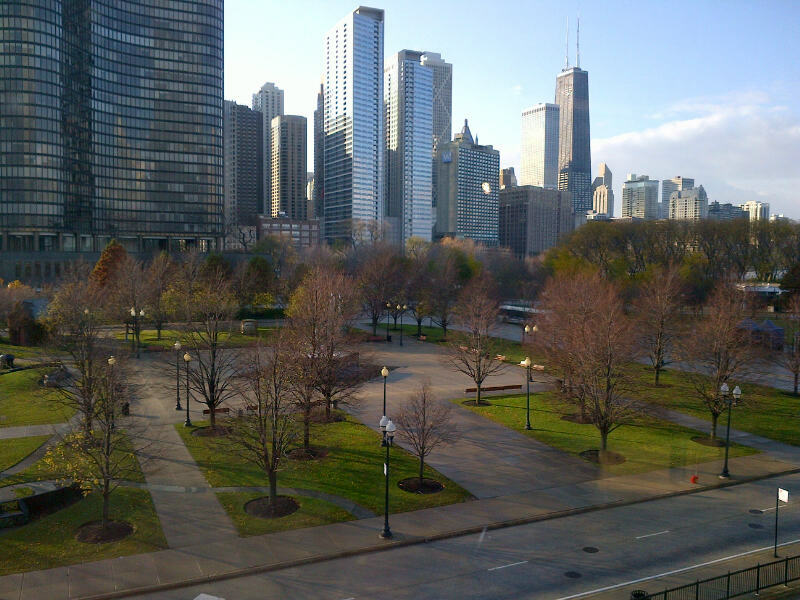 We never get tired of Chicago views especially during the holidays. Yesterday we posted the increase of West Town single family home sales this year. However, as in may Chicago Community Areas, a couple of city blocks or a major arterial street can mean a significant difference in market price of comparable homes. In West Town it's East of Western Avenue vs. West of Western Avenue. About 35 single family homes sold west of Western Avenue in the West Town Community Area as of December 21st this year. The median price was about $350,000. 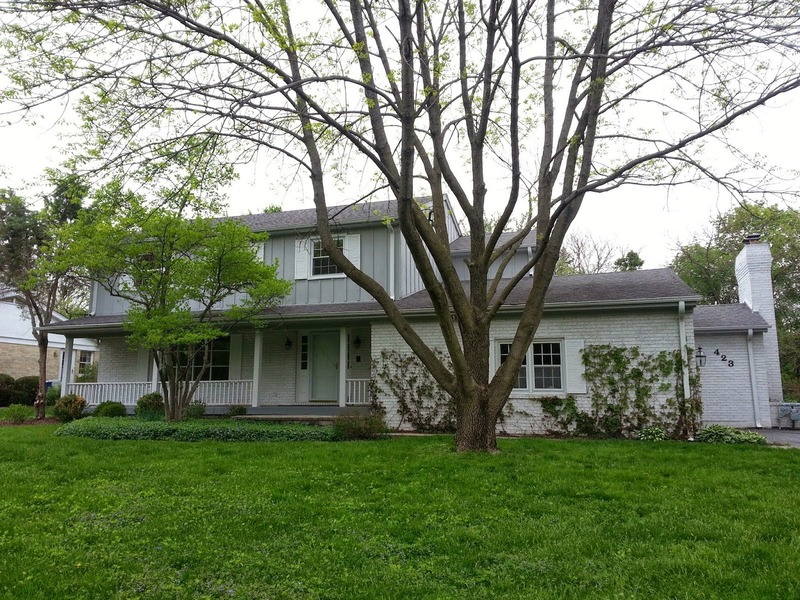 About 110 homes sold east of Western Avenue with a median price of about $645,000. This is almost a $300K difference between east and west of Western Avenue. 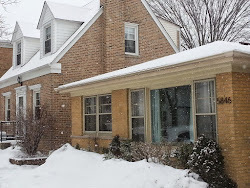 11 homes sold for a median price of about $440,000 within two blocks west of Western Avenue this year (as of 12/21/11). 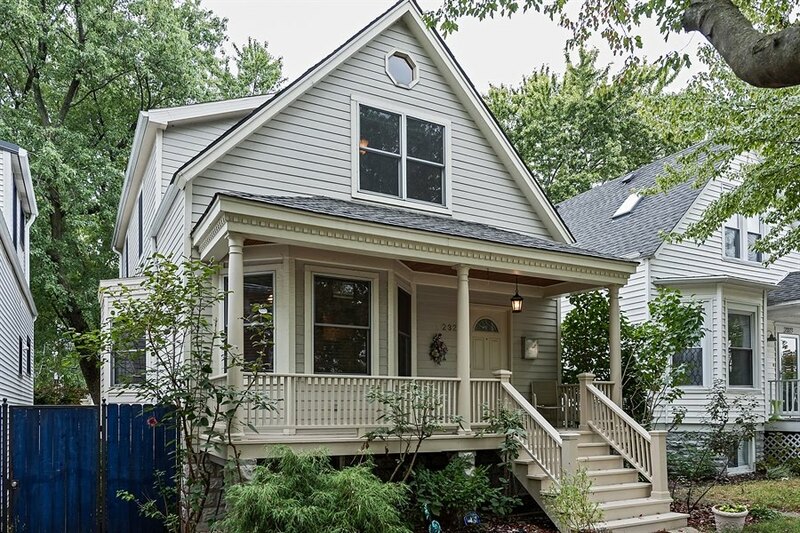 18 homes sold within two blocks east of Western Avenue for a median price of about $510,000. Comparable new construction single family home prices is in our estimate are 30% to 40% lower just by crossing Western Avenue. The portions of West Town east and west of Western avenue are roughly the same size. However, our guess is the land east of Western Avenue has about 20% more housing (developed land). The western portion of West Town has the huge 207 acre Humbolt Park and a large industrial and Metra train depot that eat up land. The actual build-able land does not really effect the home prices in this comparison. All photos Eric Rojas and Bob DePalma, Realtors and Brokers. Data gathered on MREDLLC.com our local MLS, and all analysis and estimates Eric Rojas Realtor and Broker. 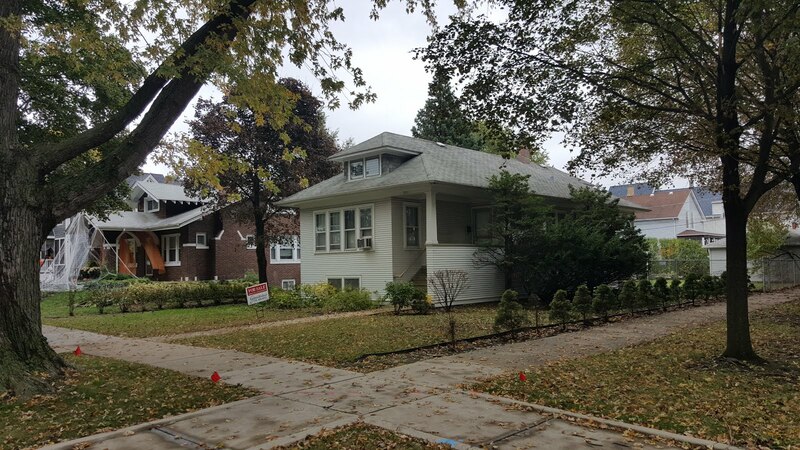 West Town, Chicago single family homes sales are diverse and vary greatly upon location east or west of North Western Avenue and if your house is under a highway. Amenity filled Wicker Park and Bucktown are the higher-end neighborhoods while homes just west of Western Avenue and on the far south borders of the West Town Community Area can be significantly less. 145 West Town single family homes have closed from January 1st, 2011 to December 20th, 2011 up 16% over same period in 2010. The median price this year is about $606,000...almost equal to last year's $599,000. 35 homes are currently under contract so the total number of sales will likely increase over 20% from last year. The Highs: 1627 N Wolcott, a modern new construction home, closed at $1,950,000 in the spring. 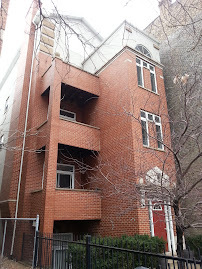 The Lows: 910 N Richmond, a brick two story structure, sold for 42,000 cash. The buyer's agent represents developers in the area so it will likely be a professional rehab and should have a good margin to re-sell. It may also be a custom design/ build home purchase for the buyer. Distressed: 28 properties (19%) sold during this period were either foreclosure (bank owned REO) or short sales. Last year, 35% of single family homes sales were either foreclosure of short sale. 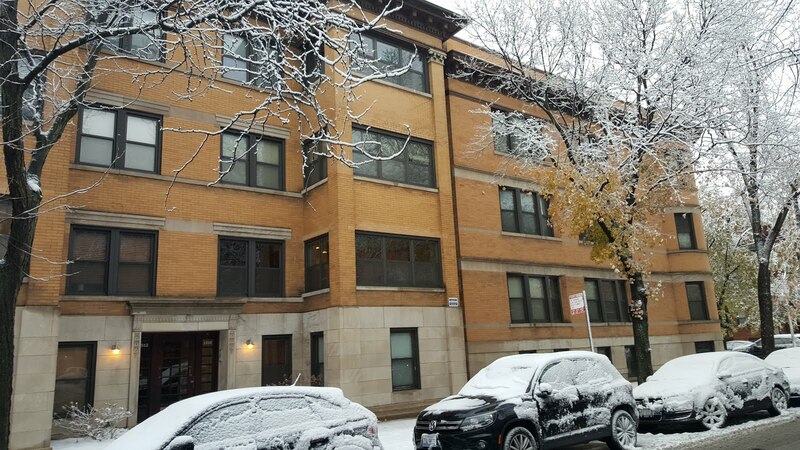 We represent clients in buying, selling and renting properties in the West Town areas of Wicker Park, Buck Town, East Village, Ukrainian Village and Humboldt Park. Please contact us with questions. All analysis and photos Eric Rojas, Realtor and Broker. Closing data gathered from MREDLLLC.com. I've always liked the look and atmosphere of Table Fifty-Two's intimate building on Elm Street in the Gold Coast. My smart phone photo from the other night does this little justice. 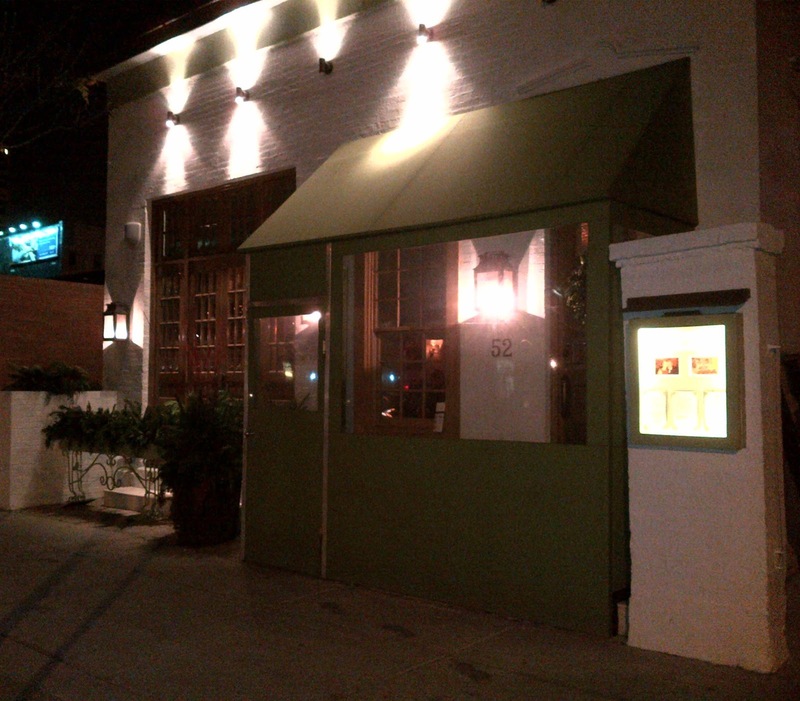 Although famous, the restaurant has that feel of stumbling upon a gem as you approach the building. The little structure and classy company just pop out at you as it stands basically alone on the block in a normally dense area. We were out and about this weekend. Chicago's Mag Mile area is a great place to experience the holiday spirit. Plenty of terrific architecture and displays to view and grand places to duck in with the kids too. The Hancock Center tree...a very scenic location with shopping, eating and the lake. 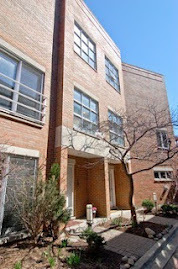 38 two-flat buildings closed so far in 2011 with a median price of about $490,000. Unit sales are up 46% from the same period of 2010. The 2011 median price was lower by $75,000 than the $565,000 in 2010. The lows: $225,000, a foreclosure at 3942 N Hermitage Ave 60613 on a small 25' x 90' lot. Distressed: 8 of the 38 two-flats sold by December 15th, 2011 were either short sales or foreclosures (21% of sales). Over-all, the Lake View Community Area has seen 76 multi-unit buildings (2-4 total units) close from January 1st to December 15th. This is also up 46% over last year. Currently, there are 14 more multi-unit buildings under contract. The Lincoln Park Community Area is one of the top three sought after areas in Chicago for home buyers in our experience. With popularity comes problems too. I received an update today from the 43rd Ward Alderman's office on the proposed solutions to Abraham Lincoln Elementary school overcrowding. And look out! If you think there is grumbling, opposition and craziness to the recent large development plans around the neighborhood...just mess with a parent's school. 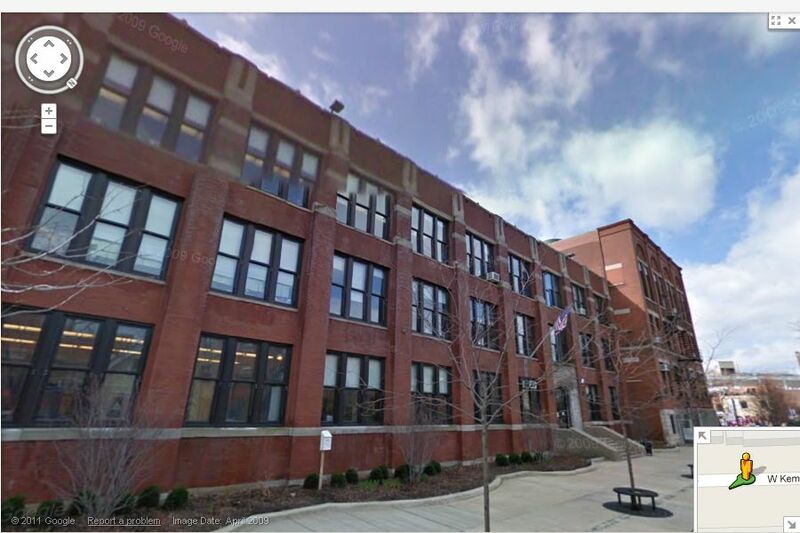 The plan would "shrink" the attendance boundaries of Lincoln Elementary to West Armitage Avenue and place new attending students living south of Armitage in the La Salle Language Academy. Schools are the most important factor (initially anyway) to the majority of our single family and multi-unit buyers. We watch this closely. Most feel desired public schools will positively impact their property values and quality of life (if they have kids or not). This controversy notwithstanding there are many more great CPS school choices on the North Side than at any time I can remember. Parents and neighbors have really stepped up and helped talented local school principals create terrific environments. Check out and help support various local schools...you may be surprised. 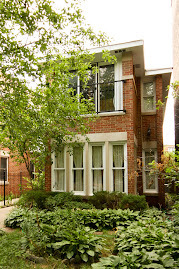 Click on the links to view our Lincoln Park home sales and many of our posts around the neighborhood. All photos Eric Rojas and Bob DePalma Realtors unless otherwise noted. Still need gifts? Visit the attractive Tory Burch store on Oak Street in Gold Coast. This is accessible high fashion and they even have some great sales items. We like the look of the store and think this has been a terrific addition to the impressive and aesthetically pleasing shopping mecca along Oak Street. 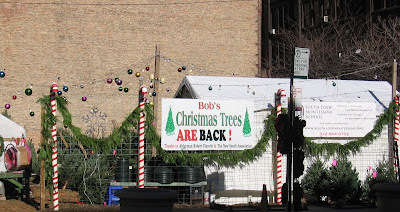 Bob's back in the South Loop! It's quieter out there in the big city than in here. There are several nice views of the city and lake from various exhibits at the museum. Looking out from the "Water Works" at the Children's Museum, Navy Pier. Check out information on the Children's Museum HERE. You may also get half-off admission with a membership at the Peggy Notebaert Nature Museum. 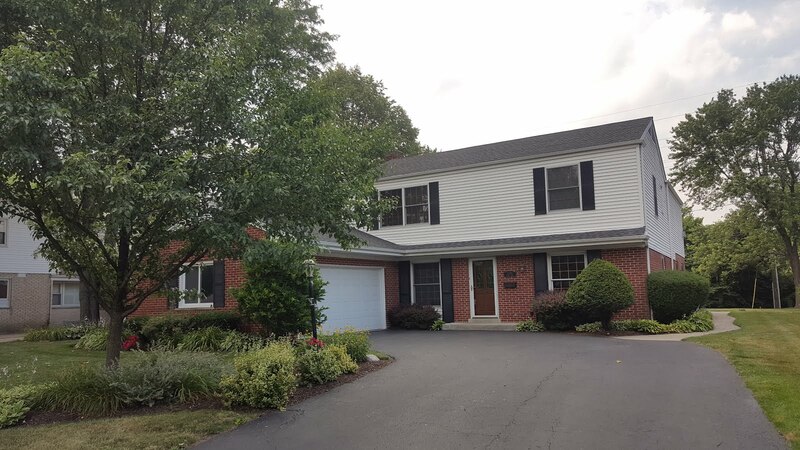 An afternoon at either place guarantees the kids will be sleeping by 7:00PM that evening..
A double lot is being sold for land value at 5062 N Ravenswood. Photo Eric Rojas. 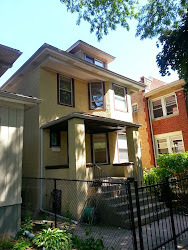 A 50' x 125' lot with an existing structure is being offered at $325,000 according to the MLS listing for 5062 N Ravenswood (not my listing). One could build a gorgeous custom home with a unique courtyard, large lawn...or, just a big house. I prefer the former. The price is pretty good in comparison to recent sales this year on smaller 30' x 125' lots. However, the lot location facing the Metra tracks and near commercial buildings may exhibit objections for some. The North Ravenswood Avenue corridor along the Metra tracks has some cool properties and interesting opportunities. We've written about the the stretch from approximately West Addison to West Peterson for years. The stretch goes south of Addison, but I think it's been most interesting as you go north of the 3600 block. This house is located on the stretch of North Ravenswood Avenue just north of Winnemac Avenue (shown above). About 25% of the block was re-developed into 5 luxury single family homes that sold rather quickly in 2007-2008 just to the south of this lot. The deep set backs and east facing exposure looking at the Metra embankment make this stretch of homes unique to other residential streets. A commercial-industrial building sits north of Winona Street adjacent to Foster Avenue on the far north of the block. Just to the south of the lot is the popular "Ravenswood Gardens" townhouse development along Winnemac. A new house on this lot would not be out of place here. 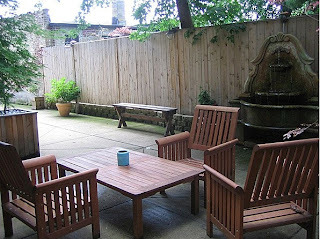 Click the links for more Ravenswood and Lincoln Square market statistics, original home tours, videos and more. 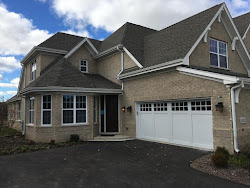 It's been our observation of the increasing trend since 2009 in the Lincoln Square Community Area and Ravenswood neighborhood of higher-end new construction and complete gut rehab properties. With many poor conditioned homes purchased this year on the lower end of pricing, we'll see the neighborhood add more new homes offered for retail sale (or simply rehabbed/built for their owners) in 2012. A gorgeous home where Andersonville meets the Ravenswood neighborhood! Close to the amazing retail and restaurants of Andersonville and popular Winnemac Park of Ravenswood. Walk to the Metra station. This home shows great. Tree top views of green mature trees in a quiet neighborhood, yet near fantastic shopping and retail. 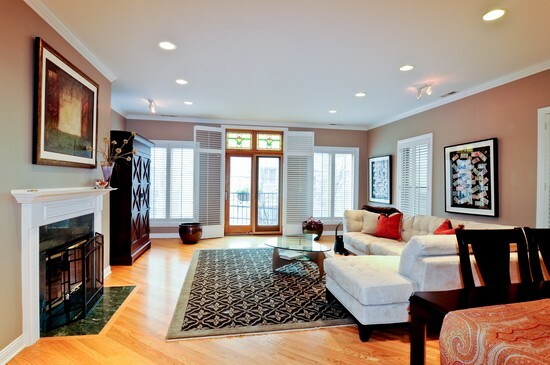 Call Eric Rojas, Real Estate Broker with Kale Realty 773-510-1597 for a showing. Pre-approved home buyers preferred. If you need mortgage pre-approval or you are buying cash, please indicate that when contacting us and we'll be happy to discuss your options. Thanks!